So I'm cheating a little bit this week, but it's all good. 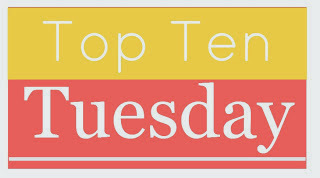 I had more books than I thought I would for this top ten! Here are some fave books/ones I've enjoyed immensely that deal with diverse topics and/or have diverse characters. 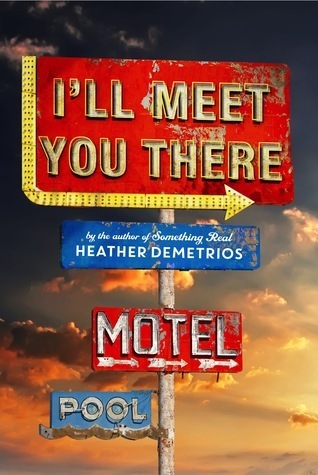 I'll Meet You There by Heather Demetrios: Josh gets his leg blown off in the war, and it's something that he has to deal with throughout the book. Something that reminds him of all he's lost and suffered since coming home. He doesn't know how to deal, and I thought his struggles were so raw and realistic and it made my heart hurt. Six of Crows by Leigh Bardugo: I'm not sure if putting this here would be a spoiler, so I just won't tell you what character has the disability or what it even is. But I thought it was done so well, and Leigh's note at the end made me appreciate it all the more. 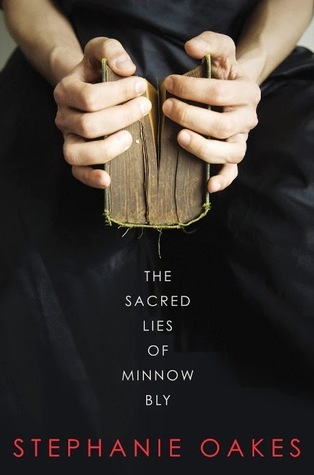 The Sacred Lies of Minnow Bly by Stephanie Oakes: the girl literally loses both her hands and has to figure out how to go through life handicapped like that. 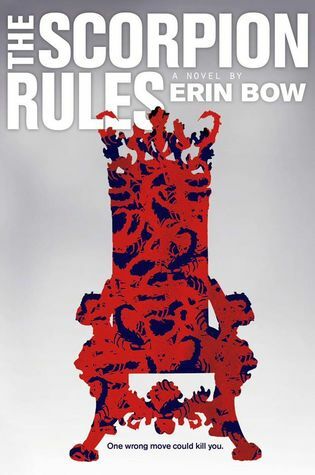 The Scorpion Rules by Erin Bow: woohoo for f/f in YA. I don't think I've read ANY books in this category yet with a romance between two girls. In any case, I adored the character relationships and little bits of romance thrown in. 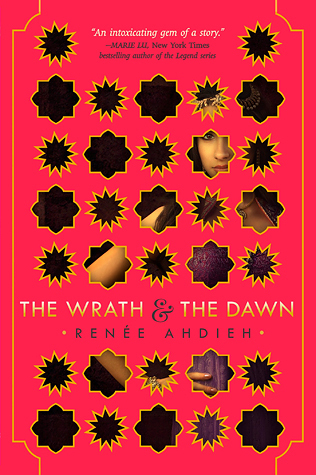 The Wrath and the Dawn by Renee Ahdieh: one of my fave books of the year! Love Shazi and her badass attitude and strength and sass. 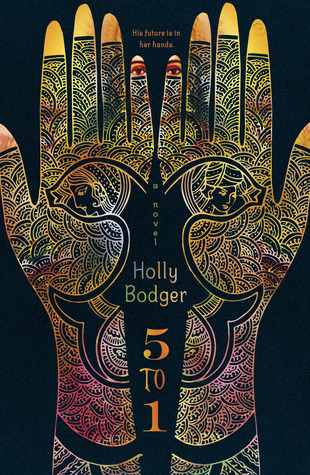 5 to 1 by Holly Bodger: this is set in India and is all about female empowerment (even if it doesn't exactly do it in the best way,what with the unfair system against the boys). But hey this never happens with the ladies, so I say whatever to that. Naked by Stacey Trombley - this book deals with prostitution is one of the best ways. It's emotional, hard to read at times, and makes you ache for the MC and what she goes through. And it forces you to think about what it takes for someone, especially a young girl to start, and how hard it is to leave it. 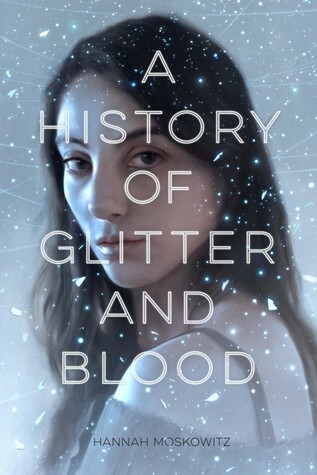 A History of Glitter and Blood by Hannah Moskowitz - basically the definition of diverse given all the topics/things that happen in this book. I won't go into more detail. If you like weird books or ones that sometimes don't make sense, then this one is for you. 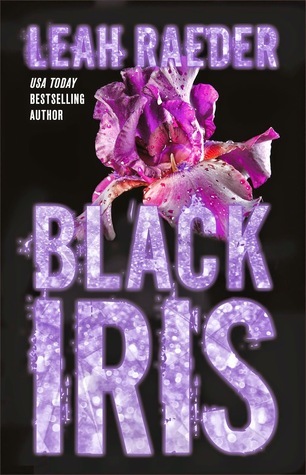 Black Iris by Leah Raeder: this book was SO GOOD and showed how fluid sexuality is and how it's not about male or female but about the person, and who they are inside and outside. And the romance was so intense. It was also so friggin' gritty and raw and dark. Loved that. 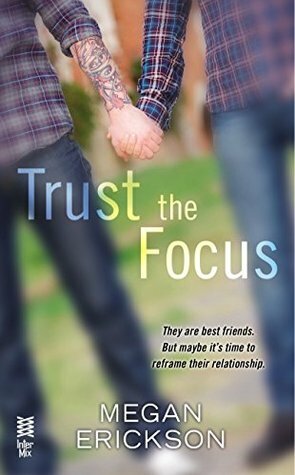 Trust the Focus and Focus on Me by Megan Erickson: these were my first m/m romances! And I loved them! But not only that, the second book deals with the very real issue of mental illness, and I thought it was done extremely well. While writing this post, I didn't think I'd be able to find 10! And that's really sad, no? I don't actively NOT read or buy diverse books, but they are few and far between for me. But I think most of it has to do with the fact that there just aren't that many. It's changing now, sure, but it's been slow. There are so many LGBTQ books out now and ones being published within the next few years. Mental health has also become more widely written about (which makes my heart soar). But physical disabilities, POC characters, and diverse issues? Not so much. At least, not that I've seen or read. And I am definitely making it a priority from now on to read more diverse books. I haven't read any of these, but lots of them look good! 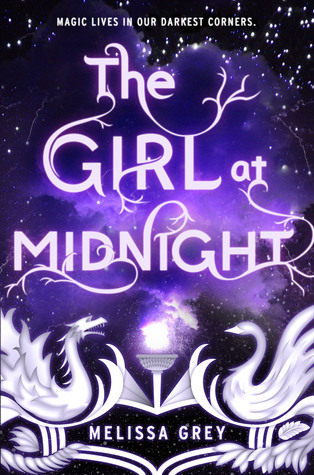 LOVED the Girl at Midnight! Such great characters. This is a great list. Happy reading. I've added a few of these to my TBR post. You've got such a great list! I am glad to see The Scorpion Rules on your list. I have that one to read and am really looking forward to it. 5 to 1 is one I just discovered via this meme and it sure sounds good! I've added that one to my wish list. Six of Crows is on my wish list as well. I'm reading The Girl at Midnight right now (finally!). I can't wait to read Six of Crows and The Scorpion Rules! I've heard a lot of good things about Black Iris, I need to ppick it up. Great list! YESSS I want to read more books about people with disabilities particularly. I think there's a bit of a hole in literature for that, sadly. D: Also POC protagonists too, sadly. bUT YAY FOR THESE BOOKS!! I really loved TW&TD. like it's totally one of my new favourite books. :') and You've read Six of Crows already?! OMG SO LUCKY. I CANNOT WAIT!! 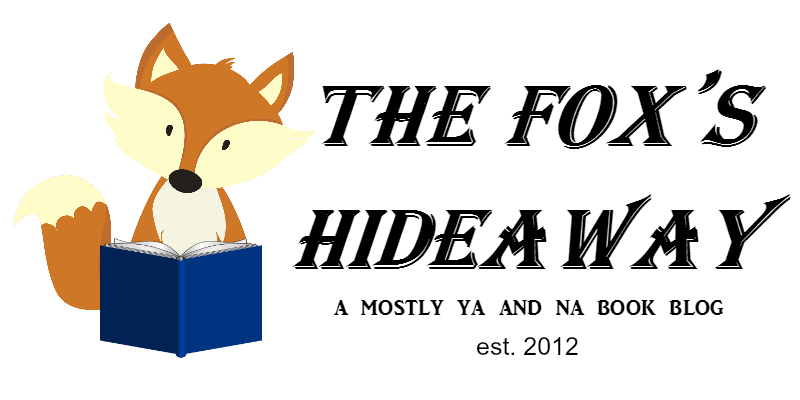 There are more diverse books out there than ever before...we just have to seek them out. Glad to know that you liked the Wrath and the Dawn! I've been wanting to read that book for the longest time! Dude, great list! Naked looks awesome. Can't believe I haven't heard of it yet. I love books that make me feel sad about the world (except seriously I seem to because I read ALL THE FREAKING SAD BOOKS). The Scorpion Rules really surprised me with the romance! It took a huge turn from what the synopsis had hinted at. This is a great list! I love that you included Megan Erickson and I'll Meet You There! 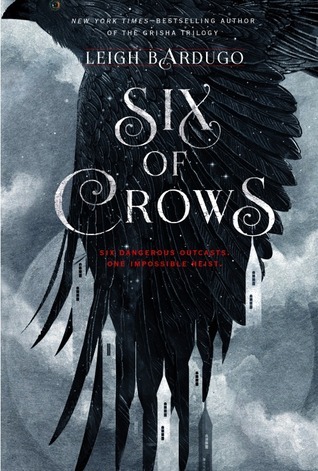 I still need to read Wrath and the Dawn, and now I'm even more intrigued by Six of Crows! Great picks! I'll Meet You There is on my summer TBR list and I'm super excited about it. It's one of those that I'm sure I'm going to love. I have The Wrath and the Dawn at home and am hoping I can get to it before it's due back at the library. "Fear Will Learn to Fear Me"
"I Have the Power to Destroy Everything"
A #QuietYA Celebration: Guest Post + Giveaway!